Of the many questions that are posed to dealers and watch collectors alike is “which watch should I get?” Purchasing a fine mechanical watch should be a big decision as fine Swiss watches, the ones that will last generations, are expensive. Some watch companies intimate that one never really owns a fine Swiss watch, rather than one is a conservator of the watch for the next generation. Without question, a fine Swiss watch that is maintained with regular service will last generations, and there are plenty of Swiss watches that have proven so. First and foremost, select the watch that “speaks” to you. Every watch has functions, and watch companies have different company provenances, case styles, design philosophies, and the watches themselves have different functions, but when it all comes down to it, pick the watch that you can see living on your wrist for years. Selecting a watch is not as crucial as selecting a spouse as one can always flip a fine Swiss watch for a different model , it is important to look long term when selecting a watch. Consistent style that is not slave to current fashion, durability, serviceability, and wearability are features that make for heirlooms. Even though these details make a selecting a watch more difficult, it is when the watch face is looking at you and resonates is the one that is your watch. Delineating the emotional from the practical is always tough when selecting a watch. Watches “speaking to you” speak on an emotional level. Because purchasing a Swiss watch is an investment, there are some less-emotional and more practical aspects to consider. Firstly, there is size, proportion and fit. Watches come in different shapes, sizes and weight. 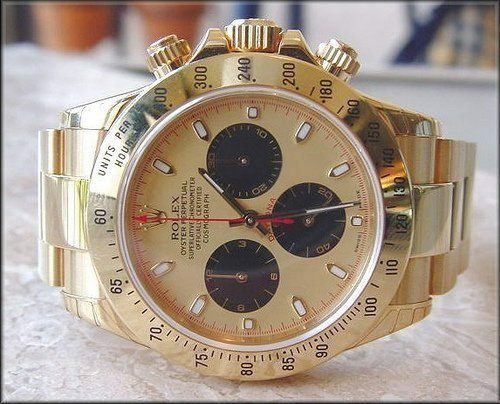 Depending on the case and bracelet material, small watches can be somewhat heavy if they are made from gold or platinum, and large watches can be somewhat light if they are made of stainless with a leather strap. Most importantly when selecting a watch for fit, is to feel for the balance in a watch. The watch head and the bracelet should be of similar (but not exact) weight. A heavy watch head with a light strap will be top heavy and will flop around needlessly. A heavy watch head with a heavy strap will have great wrist presence and will certainly stand out, but for most of the largest people, will feel heavy in time. Pick a watch that feels light enough that is does not feel like a bionicle appendage or one that is so light that you don’t feel the investment you made. The second area to consider is size. By looking at the selection of watches, there is no doubt that watches are getting bigger. 36mm was considered large back in the ‘50s and 60’s. When Rolex debuted 40mm professional/sport watches, they were considered huge but acceptable for the use they were designed. Now, 40mm is considered common place, and larger watches in the 45-50mm range are seen as being large either to peacock in public, or that the watch was designed for a particular purpose. For women, 28mm was considered the acceptable women’s size, but now women are seeing wearing 40mm watches, with 30-32mm being commonplace. The larger the watch, the greater probability that it will be top heavy, but with a greater the sense of proportion and feeling that one has an investment on their wrist. Many automatic watches have a caseback that raises the watch. When fitting watches, be sure that the watch is either high enough, or low enough such that the crown does not dig into the back of the hand (for people whom wear their watch on their left wrist). How the watch fits also depends upon how tightly the strap is adjusted. Metal watch bracelets do wear and the tighter the strap is worn, the less likely the strap will “stretch.” Band stretch is caused not by the band actually stretching, but rather by elongation of the pins through wear and friction. Top heavy watches are many times worn tight. The watch may also come with a leather, nylon NATO, or rubber strap. All these straps might be more comfortable as they conform to the wrist easier, and can slightly stretch as heat and swelling increase during the day. Although leather, NATO and rubber straps typically make the watch less expensive, these straps do require maintenance to insure their integrity for the life of the watch. Typically, a watch shopper finds themselves torn between two different models or two different brands. Every mechanical watch has a layer of provenance and enigma, either through real life applications or perceived/manufactured by watch marketers. For example, the watch that landed on the moon has a different provenance than the watch that summated Everest, that is different than the watch James Bond wore (realizing full well that James Bond is a fictional character). Provenance adds both a technical layer and an emotional layer to the piece. Wearing a watch that associates the wearer to Wall street business, or vast exploration speaks to the owner, as well as the design philosophy behind the watch. There is no right answer when selecting a watch for its provenance, but there are companies who manufacturer stories in order to have great point of sale materials and message points for the sales people. Even though there are some smoke and mirrors when it comes to watch marketing, it all becomes clear when inquiring on service policies and warranties. Be sure to select a watch brand that has a network of service centers. Mechanical watches require service every 3-7 years (depending on manufacturer recommendations) and utilizing the manufacturers service center many times is the safest way to go. Many watch retailers have skilled watchmakers on staff who are equally good, but there is always the question of sourcing spare parts, gaskets, and crystals and a reputable watch company has a parts network for factory approved watchmakers. After all these details are weighted, pick a watch and wear it heartily. With fine Swiss timepieces, there is always the ability to trade it in (similar to automobiles) as new models come to market, improvements in technology, and as tastes change. There are plenty of watch collectors who have only a few watches in the house, yet they have flipped their way through many watches in a lifetime.